Freedom Pharmacy…not your everyday pharmacy! When was the last time you walked into your local pharmacy and had a genuine and meaningful conversation with your pharmacist? Most of us don’t have this type of relationship with our pharmacist, where they take a vested interest in our health and go the extra mile. I believe it is important to have this level of care… and this is where my good friend Lois Adams and the one of a kind Freedom Pharmacy team comes in. Freedom Pharmacy and Wellness Center have been providing specialty retail pharmacy services since 1984. What makes them so unique is their passion to “provide top quality pharmaceutical products and services as part of a complete ‘Circle of Care’ for each patient.” Their exclusive service, ‘Circle of Care,’ treats patients as a team effort consisting of a pharmacist, a physician, a nurse and reimbursement specialist. Freedom Pharmacy strongly believes that people with chronic diseases obtain the greatest benefit when all caregivers involved communicate with each other on a consistent basis…which as an ex-cancer patient, I know is crucial to getting quality care! Heck, I'm going to go ahead and say communication is paramount in all aspects of life and health. A main focus of Freedom Pharmacy is medications for chronic, high-cost, and rare diseases, with a diverse range in their areas of care. Their reach is not only limited to the US, but internationally as well…and for those of us who need our meds immediately, they offer 24 hour shipment to anywhere in the world. An ambulatory infusion suite is located on the property and managed by a team of highly skilled nurses and professionals; a one of a kind service that you’ll never find at your run of the mill CVS or Wallgreens. They also include specialty divisions, which encompass major areas in Oncology, Diabetes, Respiratory, Cystic Fibrosis, Crohn’s Disease, and many more. These specialty divisions contain an abundance of information on the disease, services, and programs including: compassion and support groups/programs, health care plans, information on different treatments and links to great resources. Medical supplies Freedom Pharmacy also brings to you the handy feature, “Ask Our Pharmacist,” where you can ask questions about your medications by communicating directly with Freedom Pharmacy's professional consulting pharmacists. This service is available to patients from all ends of the spectrum, whether you are fighting a debilitating disease or are simply health conscious and interested in making lifestyle changes to live healthier. My buddy Lois Adams who founded Freedom Pharmacy is an expert pharmacist and is dedicated to providing information on nutrition and supplements…she can answer all of your questions and give you the most up-to-date information. Not to mention she is as sweet as organic sugar! Also, check out Lois's Healthy Living Interview to learn a little bit more about supplementation and nutritionals. 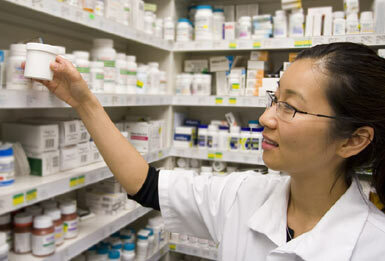 The Freedom Pharmacy team does a fantastic job in making every customer of utmost importance. You will truly feel one of a kind in the hands of the Freedom FAM! Next time you need that prescription filled, check out Freedom Pharmacy and enjoy a little education and pampering with your experience. I guarantee you will find it refreshing to meet a group of pharmacy specialists who care as much as they do.